At Boston Atrial Fibrillation Symposium 2009, venerable electrophysiologist and ablation pioneer Dr. Warren (Sonny) Jackman said something about atrial fibrillation and obstructive sleep apnea that grabbed me and I had to find out more. In the video below, Dr. Jackman spoke with me about the "3rd fat pad" on the heart and recent findings relating it to afib and obstructive sleep apnea. Treating afib may help obstructive sleep apnea. About Dr. Jackman: Dr. Jackman retired from clinical practice at the University of Oklahoma Health Sciences Center in December 2007. He holds the position of George Lynn Cross Research Professor Emeritus. He continues with the Heart Rhythm Institute in the capacity of Senior Scientific Advisor. He obtained his medical degree from the University of Florida and completed his residency in Internal Medicine at Bowman Gray School of Medicine, Wake Forest University. He then served a Fellowship in Cardiology and Cardiac Electrophysiology at Indiana University School of Medicine. Dr. Jackman joined the faculty of the University of Oklahoma in January 1982. Mellanie True Hills: I am at Boston Atrial Fibrillation [Symposium] 2009 and with me is the venerable Dr. Warren “Sonny” Jackman. He is the one of the pioneers, an electrophysiologist that is one of the pioneers in the entire ablation space. I feel very honored to have him with me. He said something that just caused me to go “Whoa, I've got to know more about that.” I know that many of you have both afib and sleep apnea and I've asked him if he will talk just a few moments about what has been learned recently, what has been seen and what the direction may be for that. So, Dr. Jackman, thank you so much. Dr. Jackman: People that have obstructive sleep apnea seem to have more atrial fibrillation. The same treatments are used to eliminate the atrial fibrillation in patients with sleep apnea, but the results are less successful; the success rate, long term, is not quite as high. The issue is why. What is it about sleep apnea that produces this very difficult to treat form of atrial fibrillation? What we’ve learned over the years is that in all types of atrial fibrillation, the nerves on the outer surface of the heart, including clusters of those nerves, called ganglia, seem to have a tremendous impact on atrial fibrillation. When they get activated and they stimulate the heart, very often they will trigger atrial fibrillation. There seems to be one of these clusters of nerve ganglia, we call autonomic ganglionated plexi, or GP, that is located just a little bit outside the heart. It's located between the large blood vessel that comes down from the upper body, the vein called the superior vena cava, and the pulmonary artery that sends blood to the lungs. Right where the superior vena cava is against the right pulmonary artery, there is an area of fat there that contains a very specific ganglia of nerves. Many years ago, my mentor, Dr. Douglas Zipes at Indiana, gave a name to that particular one; he called it the “third fat pad.” We actually now know that there are more ganglia in more areas. One of my colleagues, Dr. Ben Scherlag, did some experimental studies in which he could reproduce in animals sleep apnea triggered atrial fibrillation. He selectively ablated, just destroyed that fat pad between the superior vena cava and the pulmonary artery and was then not able to make atrial fibrillation by reproducing obstructive sleep apnea. The study was very convincing to me. It's not published yet, but I've actually seen the data and it is impressive. I think there is other information to say in patients with atrial fibrillation and obstructive sleep apnea that the third fat pad does in fact play a role. One of the real pioneers in ablation of atrial fibrillation, Dr. Andrea Natale, who is now in Austin, Texas, as part of his catheter ablation procedure for atrial fibrillation would always make a line of ablation, a circle, around the superior vena cava, and he always did it right where the pulmonary artery comes close to the superior vena cava. He’s noticed that by adding that part, it seems to have a little better effect on the patients who have atrial fibrillation associated with obstructive sleep apnea. I think that it may not be that it's circumferentially ablating the superior vena cava, just like the pulmonary vein, but in fact the part that is facing the pulmonary artery, where that third fat pad is, that may be the part of ablation that helps. We can approach that third fat pad with catheters and actually, more easily, in patients who are undergoing ablation of chronic atrial fibrillation, using a minimally-invasive surgical approach [where] we have direct access to that third fat pad area and can just remove almost all of that tissue. I think for the folks who are suffering with atrial fibrillation who have obstructive sleep apnea, as we learn more of these things, there may be some improvement coming very, very soon. 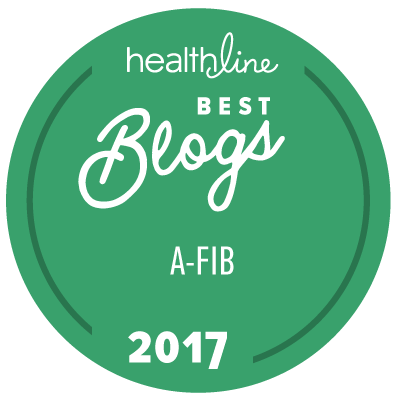 Mellanie True Hills: Dr. Jackman, thank you so much for sharing this fascinating new information and we look forward to lots of improvements down the road for those who have both afib and obstructive sleep apnea. Thank you so much.